Will Bryant and Trey Childs are organizing the final charity hockey game before the Main Street Arena rink closes for the season at the end of April. Game is Saturday morning, April 4, 10:15am to 11:45am. CHFC will be playing the Richmond Hockey Fights Cancer (RHFC) team. All proceeds go the the UVA Cancer Center. This entry was posted in Charity Hockey Game, News and tagged 2015, April, Main Street Arena on March 28, 2015 by Sperry Hockey. As of 9:30 Wednesday night, we are still short one player on the Sperry hockey roster for Thursday March 26 2015. Please sign up online if you would like to play. We take the ice at 9:00 PM and play for 60 minutes. Your slot may be forfeit if you arrive at the rink after 8:45. This entry was posted in Roster and tagged 2015, Main Street Arena, March, Roster on March 25, 2015 by Sperry Hockey. After much cajoling by David, we have two goalies and a full roster for Thursday March 19 2015. Please sign up as an alternate on the Sperry Hockey web site if you want to play. This entry was posted in Roster and tagged 2015, Main Street Arena, March, Roster on March 19, 2015 by Sperry Hockey. We’re short one skater on the roster for Thursday March 12 2015. We can take a B or C level skater. Please sign up on the Sperry Hockey web site if you want to play this week. We take the ice at 9:00 PM and play for 60 minutes. Your slot may be forfeit if you arrive at the rink after 9:15. This entry was posted in Roster and tagged 2015, Main Street Arena, March, Roster on March 12, 2015 by Sperry Hockey. 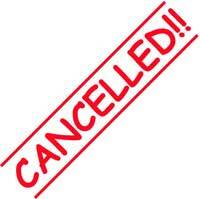 Sorry, but tonight’s Sperry hockey game for Thursday March 5, 2015, has been cancelled due to inclement weather. The rain, sleet, and snow have combined to make road conditions hazardous. Your payment authorization for tonight’s Sperry hockey game will be cancelled and you will NOT be charged for it. Your sign up for tonight’s game will NOT carry over to next week’s game. Please sign up online if you would like to play next week. This entry was posted in Cancellation, News, Roster and tagged 2015, Cancellation, Main Street Arena, March, Roster on March 3, 2015 by Sperry Hockey.